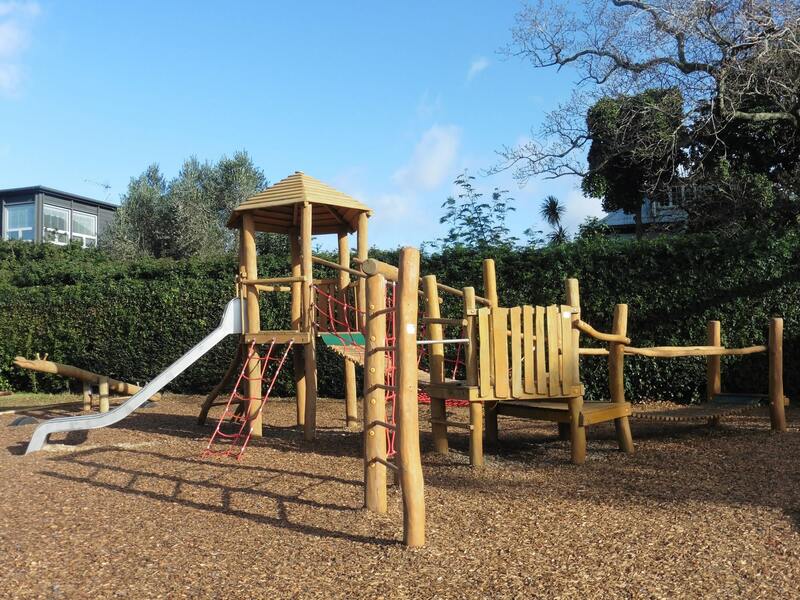 Playground Centre was invited to collaborate with Future Landscapes and Auckland Council to design a natural timber style play-space that fitted in with the surrounding landscape of mature trees, stone walls and heritage style upmarket old homes. The site of the playground proved quite the challenge due to the large amount of Volcanic rock underground. 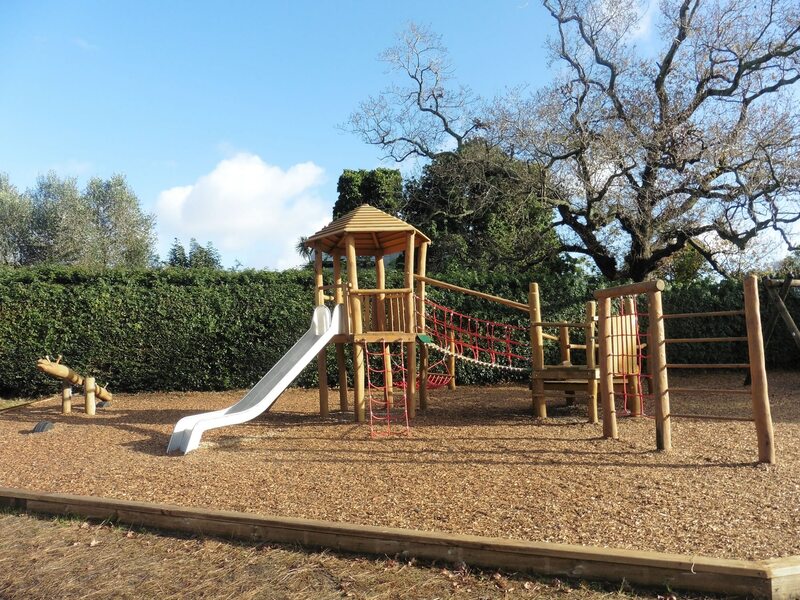 To match the surrounding area, a Robinia styled custom wobbly wood module with a watch tower feature was installed as the key feature of the playground. 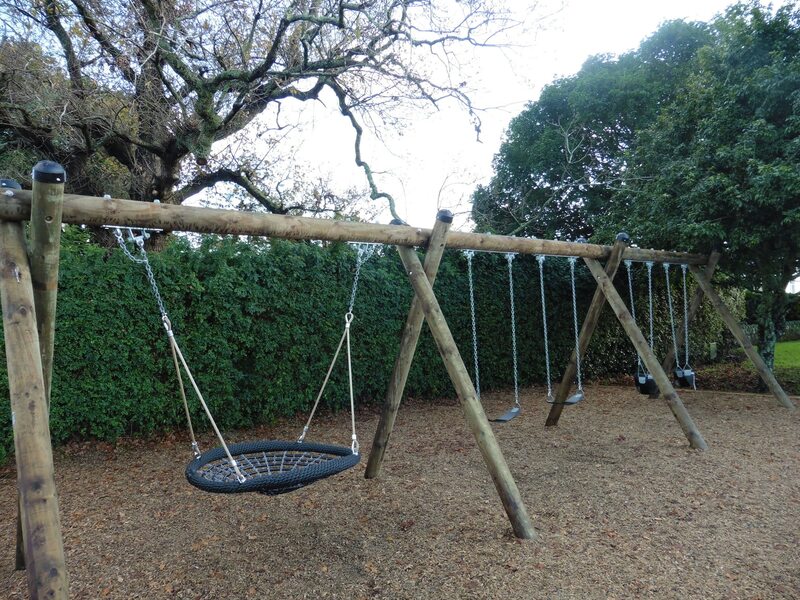 Along with our timber swings for both toddlers and older kids as well as a distinctively designed wobbly wood seesaw. 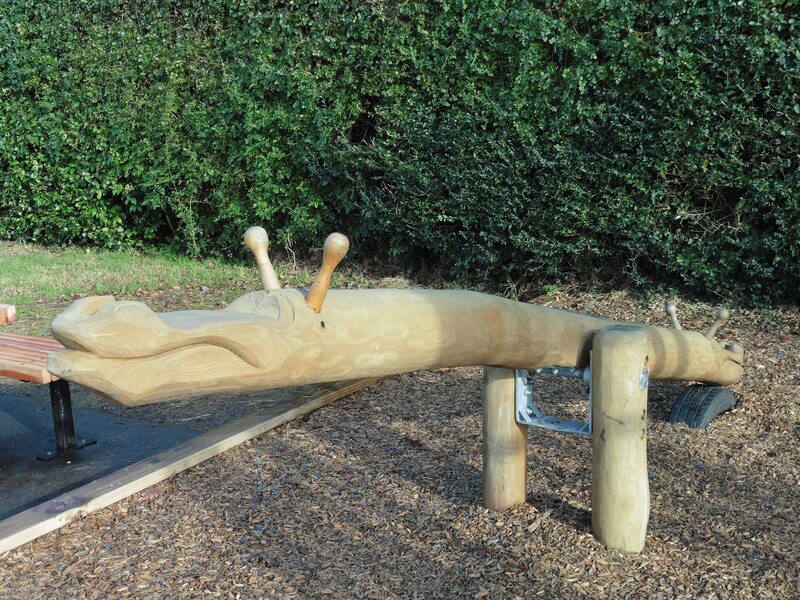 Every kid’s favourite a large slide and a wobbly bridge was also included in the design of this natural look park. 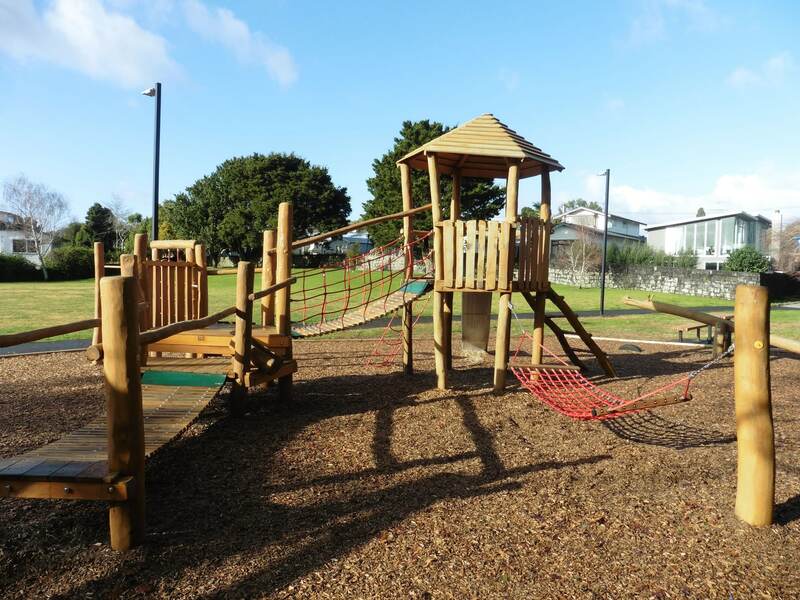 This unique styled playground caters for children from junior through to ages 10 to 12 year olds.